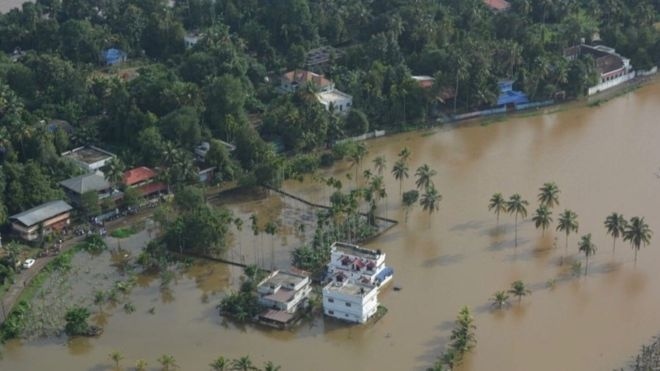 AKIPRESS.COM - Flooding caused by heavy monsoon rains in the southern Indian state of Kerala has killed at least 73 people, shut down an airport and displaced more than 85,000 people, officials have said, BBC reports. The Cochin International Airport, one of India's busiest, has been shut until 20 August due to a flooded runway. India's meteorological department has issued a "red alert" in the state. Rescue operations are underway and the federal government has sent additional forces to assist local efforts. "We're witnessing something that has never happened before in the history of Kerala," Chief Minister Pinarayi Vijayan told reporters. "Almost all dams are now opened. Most of our water treatment plants are submerged, motors are damaged." He added that the failure of the state government of neighbouring Tamil Nadu to release water from a dam had made the situation worse. Kerala has 44 rivers flowing into the Arabian sea. On Wednesday alone, the state reported 25 deaths, with officials warning that the toll was likely to rise.